SEASIDE, Ca., February 8, 2018 – CSUMB President Eduardo M. Ochoa was recently featured in The Chronicle of Higher Education during his last visit to Washington D.C. 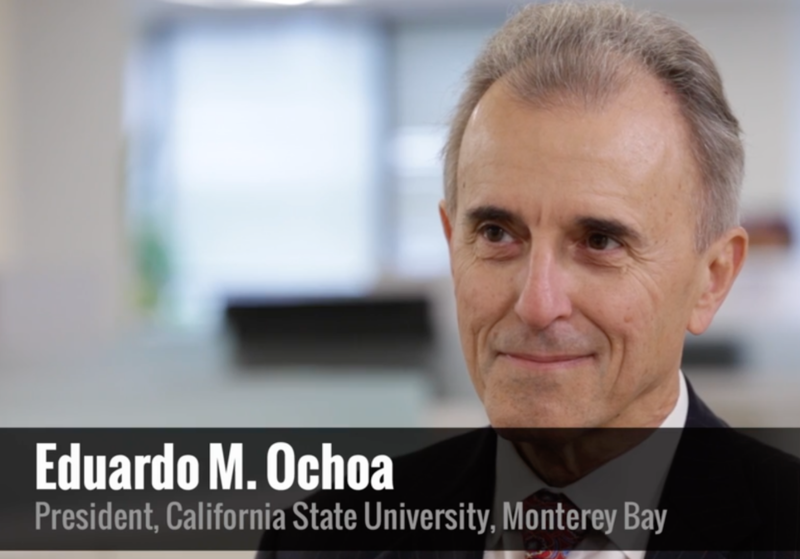 In the interview President Ochoa talks about how CSUMB works with local government and schools to improve the region’s educational outcomes. The full interview by Eric Kelderman is available for viewing at The Chronicle of Higher Education page. Eric Kelderman writes about money and accountability in higher education, including such areas as state policy, accreditation and legal affairs. At CSUMB we take a responsibility for advancing our region socially, economically and culturally. We have a strong mission of social equity and social justice and providing access [to education] for underserved communities.